Leasing a vehicle is a great way to have the privileges of driving a nice car without the hassle of long-term maintenance or having to figure out how to sell the thing once you’re done with it. It’s also nice because you know exactly how long you’ll be bound to the vehicle you’re driving. But what if you’re itching to get rid of your vehicle before the lease is up? Or you have to move across the world and can’t take your vehicle with you? The first and most important tip: Don’t drive it back to the lot just yet! If you return the vehicle to the place you leased it from, not only will you have to pay all of the remaining payments written into the life of the lease: You’ll also have to pay hefty fees and penalties for bringing it back too soon. But don’t despair just yet – there are indeed ways to get out of your lease without paying an arm and a leg. Even though you hopefully already did this when you first signed the lease, it’s a good idea to reread it with this in mind: is there anything here that penalizes me for ending the contract early? In the vast majority of cases, there will be. But you should also be trying to figure out the exact mechanisms by which you’re allowed to do so. It’s not a perfect solution, and you can’t pick just anyone off the street. Some automakers won’t let you swap leases at all. Many have several restrictions concerning the type of person who can take on your lease and when they can do so. But many companies do allow a transfer of the lease, for a fee much smaller than the price of continuing the lease would typically be. Several sites function essentially as dating sites but for cars—people with leases looking to unload post, and folks looking to take over a lease respond to the ones they’re interested in. Asking your friends and family members if they or anyone they know is interested is also a good idea. If you want to find someone to take over your lease, know that they will still have to have good credit and be approved by the company. Some automakers, unfortunately, will also still hold you accountable if any damage is done to the vehicle. This is not a good idea if the reason you need to end your lease is leaving the country or are in financial trouble. But if you simply want to be driving another type of vehicle, you can certainly change over to a different one. 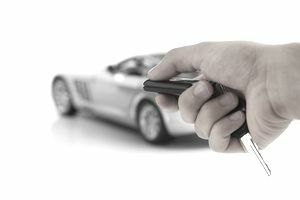 You’ll have to pay early exit fees, but you won’t be on the hook for the rest of the payments in your current lease. Also, switching to a less expensive model might save you in monthly payments – or at least, it doesn’t hurt to ask. Part of the appeal of a lease is that if you decide at any time that you want to purchase the vehicle you’re driving instead of just making monthly payments on it, you have the option of doing so through the early buyout mechanism, by which the company will calculate the approximate value of the vehicle you’re driving, as well as how much you should pay for it given how much you’ve already paid into the lease. If you’re feeling ambitious, and you have the cash, it might be worth your time to buy the car from the lessor and try to sell it. Once you buy the car, you can try to sell it to a dealership (this is only worth it if you paid less than the Kelly Bluebook price for it) or try to sell it to a friend or family member—or someone you meet through Craigslist. This may be obvious, but you don’t have to make use of the vehicle every day that you have it out on a lease. If you simply are hoping to terminate your lease a few months early because you are moving to a different state, try leaving the vehicle with a friend (of course, they can’t drive it!) and just returning it when the lease is up. Especially if you only have a few months left on your lease, this may be the most affordable option. In the vast majority of cases, it’s only “worth it” to break your lease if you have a serious and non-preventable reason for doing so. But if that’s not the case, then you are probably going to be better off driving the vehicle you signed up for until the contract is over. It might not be the hotrod of your dreams or the absolute best car for your situation, but you’re going to end up paying a lot of money and going through a lot of hassle that is generally just not worth it.